Assorted drawings of women in various sitting postures represented in plan/top view. 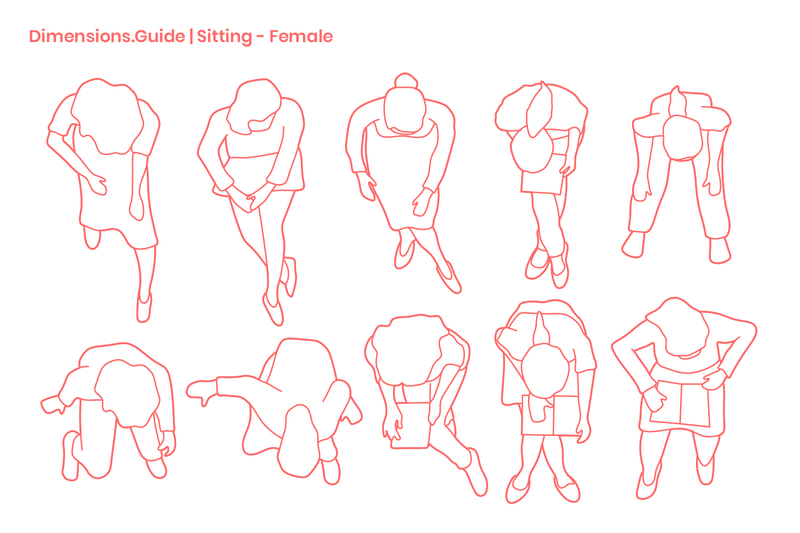 Representing activities and poses that include casual sitting, reading, working, and relaxing, these drawings of women sitting can be used for adding human scale to drawings. Female shoulders have an average width of 14” | 35 cm.